One full week of paintings completed!! Now on to week two! After doing a portrait of Bela Lugosi as Dracula on day 4, I knew I would have to include the actor who is probably the most well known of the classic monster characters, Boris Karloff. You can not mention or think about Frankenstein’s monster and not think of Karloff under the makeup. But as an actor, Karloff has a huge resume of great roles. 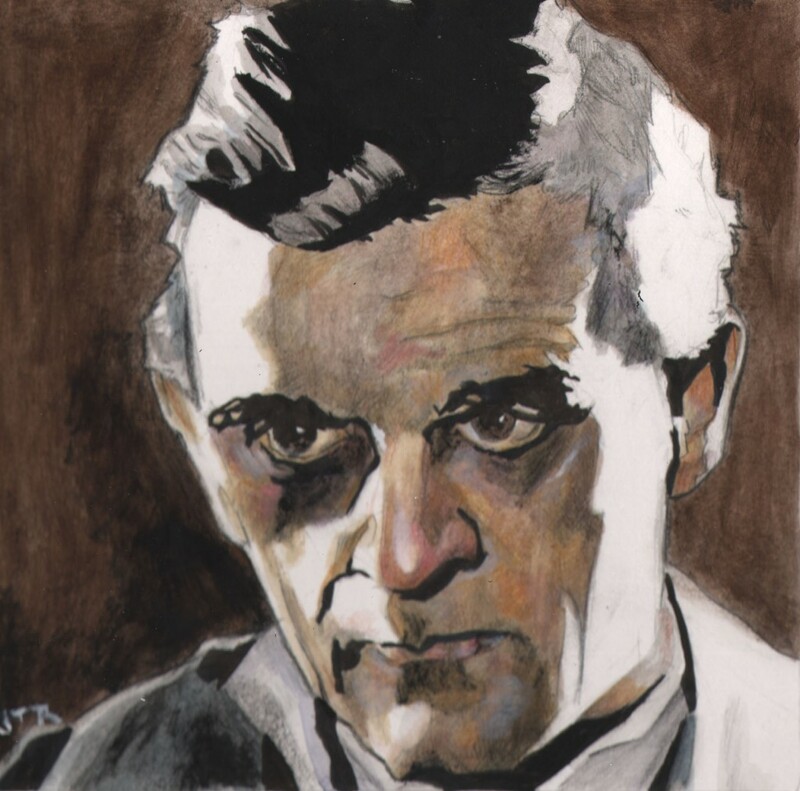 And, I have drawn and painted several renditions of Karloff as The Monster, this made me decide to just do a portrait of the man, not one of his monster movie characters. As I did this painting I was listening to a great album that Karloff narrates about the classic Universal Horror movies. It’s called “An Evening With Boris Karloff And Friends”. Here is a link so you can listen to both sides of the record. Awesome again. Love your style.